Mixed Martial Arts (MMA) is easily the fastest growing spectator sport in world. Since the 90’s there has been an explosion of enthusiastic fans – and media interest. We’ll cover all things MMA: the latest Mixed Martial Arts news, events and predictions. You’ll hear tips to better your health with fitness, and provide ideas to grow your Martial Arts Business. Join us for candid interviews with those in the MMA ring from athletes to the business pro’s, this is your source for all things Martial Arts. We wanted to share from personal experience about who you should trust in the MMA world and how to surround yourself with the right people. Also there is a surprise interview with a Legend of the Art, Bruce Lee (http://www.brucelee.com/). 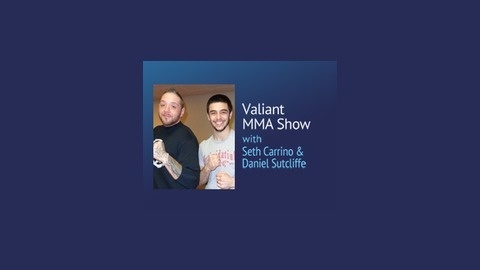 That is correct, We are interviewing the one and only and finding out his philosophy of Martial Arts (http://vmmafitness.com/ )and what it is to him to be a Martial Artist. At the end of the show we have Angel Camacho of Mas Fight Cages (http://www.masfightcages.com/)based out of Fresno, California. He will be telling us the secret behind their success and what it takes to be successful in the Cage Distribution business. 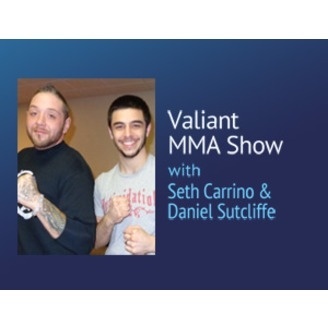 Valiant MMA Show – Don’t Forget to Train Your Body!